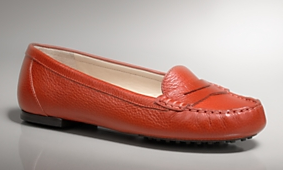 too cute..... — Pencil & Paper Co.
......adorable red loafers for $41 at Talbots!!!! Think they might actually be cuter than the Tory Burch version! Maybe you are luckier than me and they will have your size!! !